Check Out Pre-Alpha Gameplay Footage for Vampyr! Focus Home Interactive and DontNod have released some new footage for the game. You can check out the new video, featuring 15 minutes pre-alpha gameplay from the crypt, in the player below. The video features footage of the 15-minute gameplay video of the pre-alpha version shown to attendees at Gamescom 2016 in Cologne, Germany last week. DontNod is promising that the game will offer a unique gameplay experience, where the narrative is tied to player gameplay. The video begins after the beginning of the game. After becoming a vampire, protagonist Dr. Jonathan Reid has to come to terms with what he has become. he also meets some of the characters players will interact with over the course of the game. Some are also vampires and some are aware of what he is. Per Focus and DontNod, some aspects of the gameplay are still early in their development process, like the combat system. 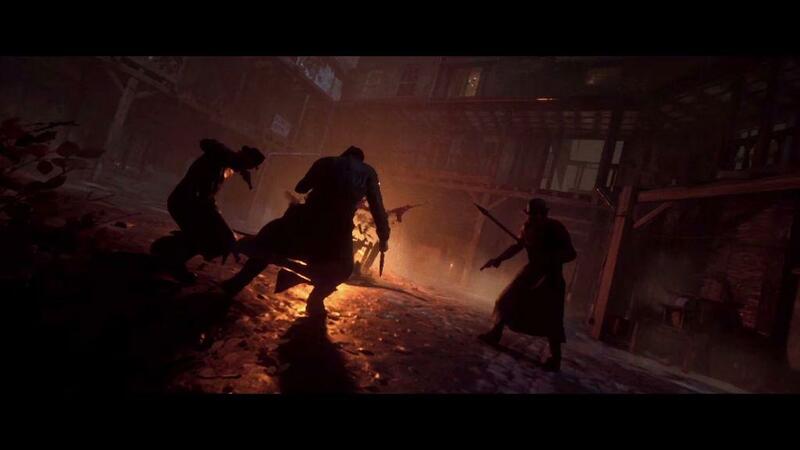 In the world of Vampyr, there’s an investigation element, where gamers have to peer through the people to see their quality of blood. Moral choices will directly affect the world of the game. For example, killing too many people in a district might cause its infrastructure to collapse and turn the area into disarray. Vampyr arrives in 2017. The game will be available for PlayStation 4, Xbox One and Windows PC. Vampyr Gets New Gameplay Video!